Wineware gift vouchers are available in convenient denominations of £10, £25 & £50, perfect for the wine enthusiast in your life. Gift vouchers will be emailed to you or your intended recipient instantly & you can include a personalised message, perfect for Birthdays or Christmas. They can be redeemed online, by phone or directly at our West Sussex showroom. 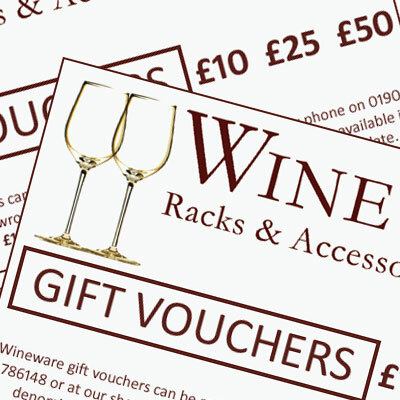 ALL Wineware Gift Vouchers are valid for six year from purchase date.